The Mah Nishtanah? 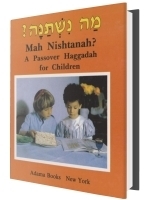 Haggadah for Children is a brilliant Hebrew English Haggadah for children that also includes transliteration of the Hebrew text. It's an amusing learning tool with colorful illustrations and photographs.